Delta Air Lines serves more than 180 million customers each year. Delta was named to FORTUNE magazine’s top 50 World’s Most Admired Companies in addition to being named the most admired airline for the seventh time in eight years. Additionally, Delta has ranked No.1 in the Business Travel News Annual Airline survey for seven consecutive years, a first for any airline. With an industry-leading global network, Delta and the Delta Connection carriers offer service to over 313 destinations in 54 countries on six continents. Headquartered in Atlanta, Delta employs nearly 80,000 employees worldwide and operates a mainline fleet of more than 800 aircraft. The airline is a founding member of the SkyTeam global alliance and participates in the industry’s leading trans-Atlantic joint venture with Air France-KLM and Alitalia as well as a newly formed joint venture with Virgin Atlantic. 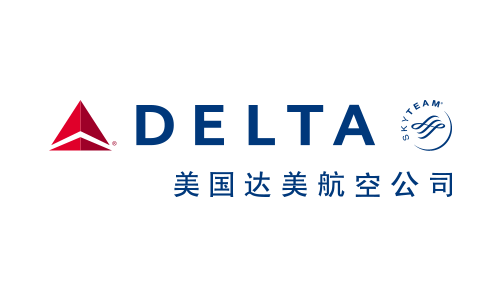 Including its worldwide alliance partners, Delta offers customers more than 15,000 daily flights and has invested billions of dollars in airport facilities, global products, services and technology to enhance the customer experience in the air and on the ground. Additional information is available on delta.com.